Categories: Business / ESP / English for Academic Purposes, OXFORD. 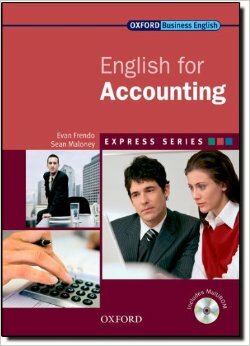 English for Accounting is suitable for people working in accounting and finance who need English to communicate in a variety of situations with colleagues and business partners. Students learn the language and skills related to accounting, as well as techniques and strategies for achieving goals in meetings and presentations. Each unit of English for Accounting addresses a different area of accounting, such as financial statements, tax systems, and auditing. Dialogues, exercises, and authentic texts present the vocabulary, and give students an opportunity to practise language in context.